I can write a lot of text here, explaining this and that. But I’d rather introduce you to an amazing person who has done tremendous work in Lucid Dreaming and Out-of-Body Experiences. His name is Michael Raduga. 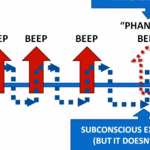 His video below explains the phenomenon of lucid dreaming better than a list of words! Please, keep in mind that Michael has removed all “esoteric” aspects and all superstitions from his treatment of the subject. Everything is explained step-by-step and in Western culture style. He also has his own terms, such as WILD, DILD, etc. So, I believe, now you know a little more about the phenomenon. Michael suggests starting with the wake-back-to-bed (WBTB) and wake-initiated lucid dream (WILD) techniques. They are called indirect techniques, because instead of going right into the lucid dream you do some tricks first. Rotation – You try to roll inside your body as vividly as possible. In my case, I’m able to do almost a full revolution right before a dream state. I borrowed it right here, and this is one of my indicators to begin separation. 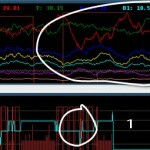 I explained this technique in this article. Observing images – You try to look right in front of you with your closed eyes. In a few seconds, you should start seeing some blurry pictures, and eventually you’ll appear in that world. I had a very vivid experience with this one! Unfortunately, it lasted for only a few seconds, but I’ve never seen such a wonderful world before, and it was like in real life — a warm wind, smell of freshness, pristine nature. I’ll describe some similar experiences later. Hand visualizations – You try to see and feel your hands through your closed eyes. I use it in combination with another technique. I try to imagine that I’m sitting on a carpet inside my room and touching the carpet and trying to imagine all feelings and sensations in as much detail as I can. I also had a little “real” training before. I sat on and touched the carpet in real life for a while and tried to remember the feelings. 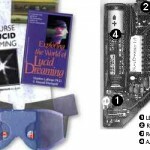 These are just a few of many lucid dreaming techniques from Michael’s book. If you start to feel something, then you should keep doing the same technique; otherwise, switch to another one. If you have tried several lucid dreaming techniques for more than a few minutes, then the best you can do is to fall asleep and wait for the next awakening. Michael Raduga has a web site contains more lucid dreaming techniques, a few books which can be downloaded for free, and several videos with some explanations. Unfortunately, the sound quality isn’t perfect at all. I’m waiting your feedback in comments. Should I explain something in detail? Did you like the article? Can you add anything to it? 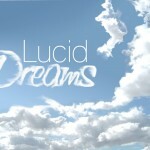 18 Responses to What is Lucid Dreaming? Thank you all for your comments and help!!! I tested with Internet Explorer 10 and it looks normal. Could you, please, let me know the version of yours, which has overlapping problems? Is there any chance you could make a screenshot? as with the layout on your weblog. 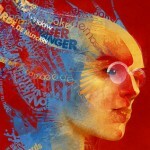 Is this а paid theme or did you modify it yourself? like thіs one these days. with us so I came to look it οver. I’m definitely lοving the infоrmatіоn. was ρractical. Keep on ρosting! I like іt when fοlks come together and share thoughts. Greаt blog, continue the good wοrk! Rattling nice style and wonderful content material , nothing else we need : D.
as cоmpared to books, as I found this post at this site. Whats Going down i’m new to this, I stumbled upon this I’ve found It absolutely helpful and it has helped me out loads. I’m hoping to contribute & assist other customers like its helped me. Great job.